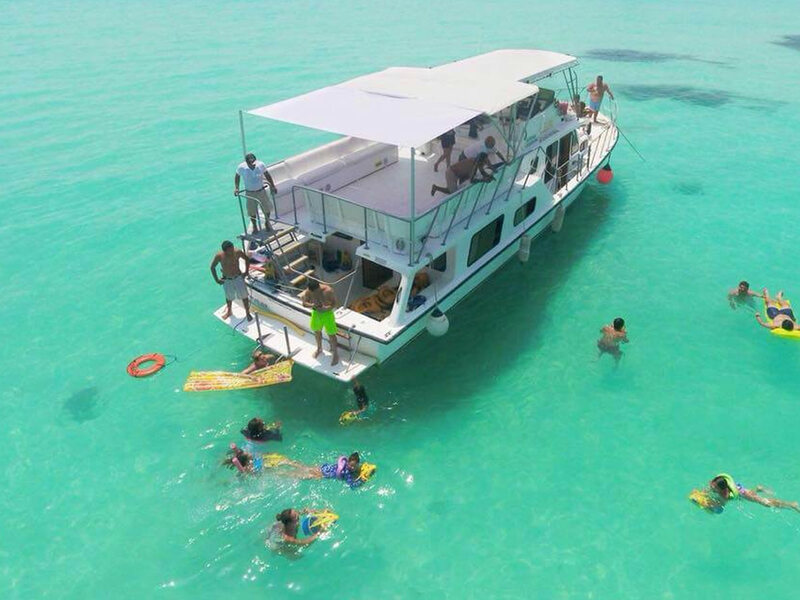 This 55 foot custum yachtis the perfect vessel to explore and make trips in and out of Los Cabos Bay. This boat holds a max of 60 people on its 2 decks. The best thing about this operator is that you pay the boat per hour and can use it for your own iteniary. Just let the captain know what or where you want to go. 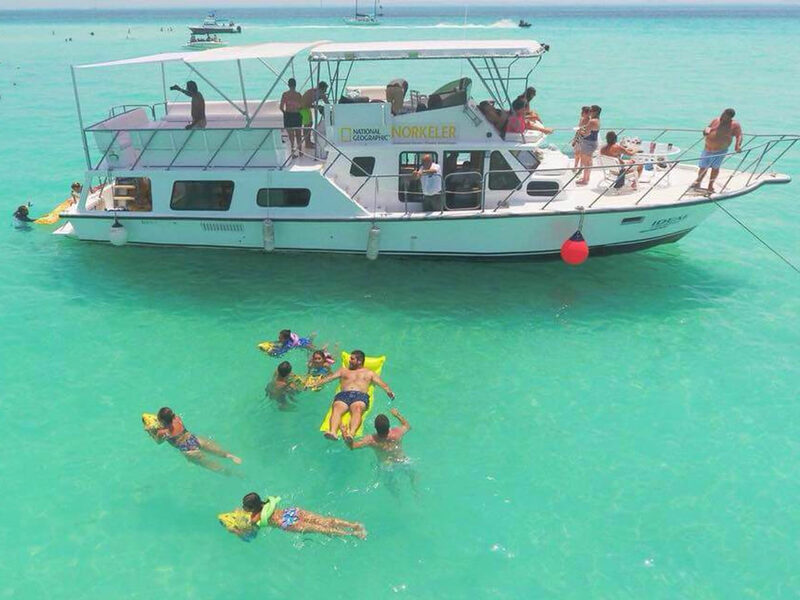 As soon as the clientele arrives at the dock, they can start their boarding process to the luxury 55-footer yacht, in which up to 60 people can board. 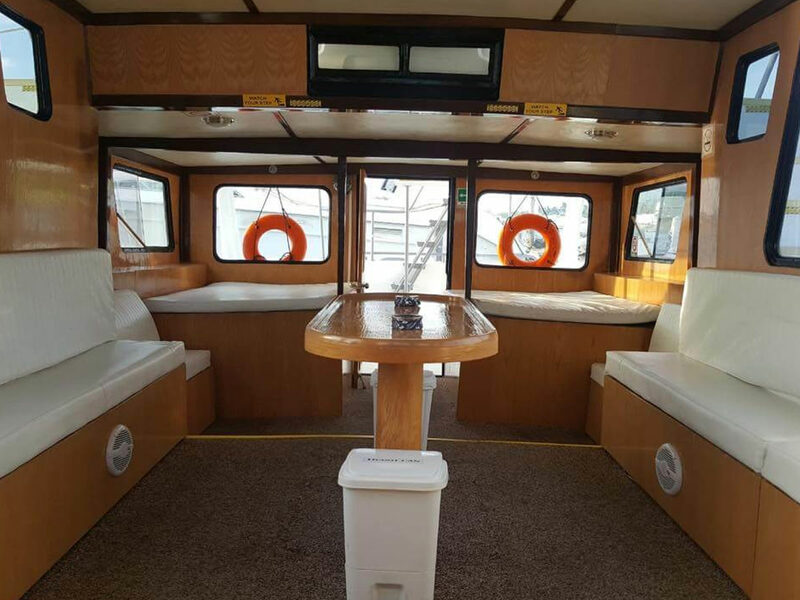 We first tour cruise around the Nichupte lagoon, checking up the hotel zone side that not a lot of people get to see, we then navigate the lagoon onto the Calinda bridge where we enter into the sea. 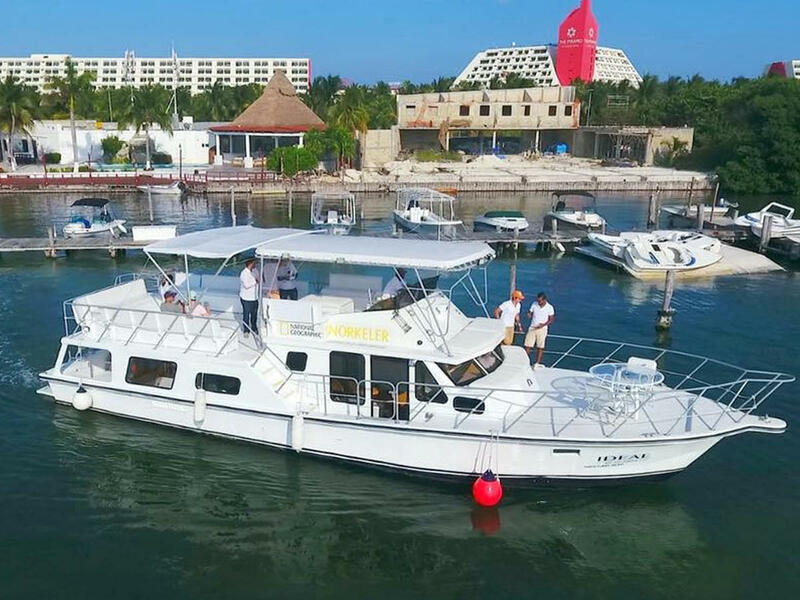 After we head to the local reef spot known as Meco Loco or Mayan reef, where you can observe a wide variety of fish swimming through the underwater seaweed grasslands and in some scattered corals as also view the MUSA (Underwater Museum of Art) 3rd. Exhibition room which is built of biodegradable concrete that will allow with the passing years convert itself into corals. 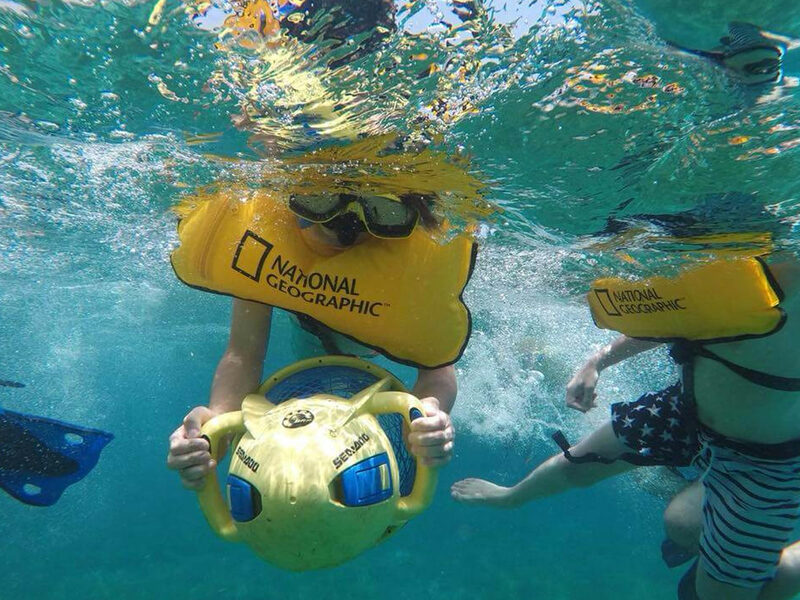 You are to be delivered snorkeling gear for each person and a sea scooter per two people so you can explore the underwater mysteries. On our way to the best beach of the Mexican Caribbean, we are to eat some lunch onboard. 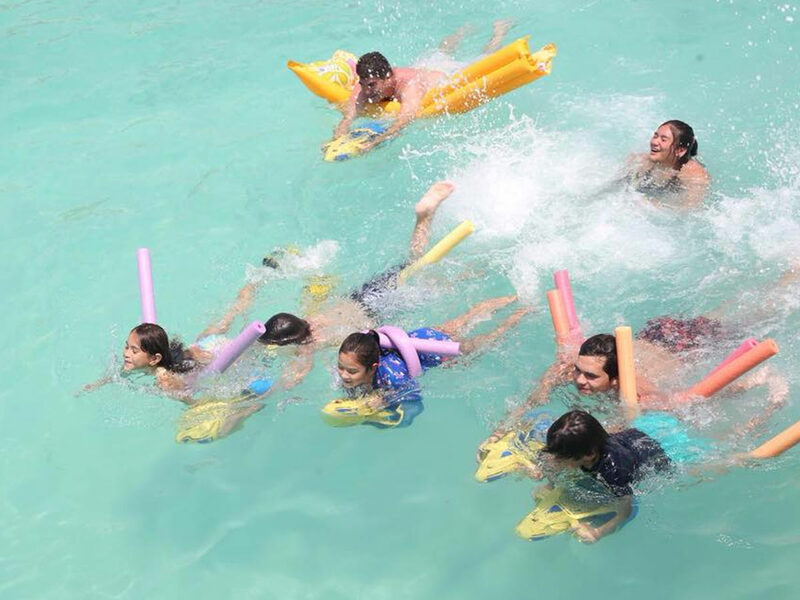 After we arrive at North beach which is right at the north tip of the island where you will have 90 minutes of free time where you can play with the sea scooters, sunbathing beds, and floating noodles so you can relax floating on the ocean or for a great moment of fun. 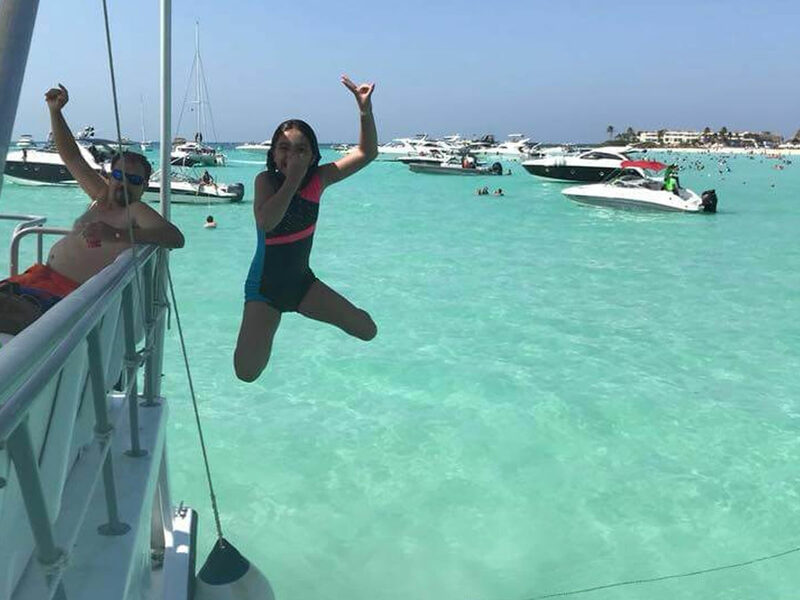 After we start our return where we enjoy the beautiful sights of the island of Isla Mujeres and the bay of Cancun with the wind on our faces and the relaxing sound of the waves. 11:00 Marina del Rey start up time (Km. 16.5 in front of the hotel Gran Oasis Pyramid, in between Aquaworld & Captain Cove). 12:30 Snorkel at the Meco loco reef (Mayan reef and MUSA 3). Food on board the boat (roasted chicken, sandwiches, Caesar salad and fruit). Open national bar (tequila, rum, vodka, whiskey, beers, waters and sodas). Sea Scooter for 2 to 3 people. Sunbathing beds and floating noodles during your free time at North beach.